Vera Constantineau is an award winning, internationally published short fiction writer and poet with a past history in humour writing. 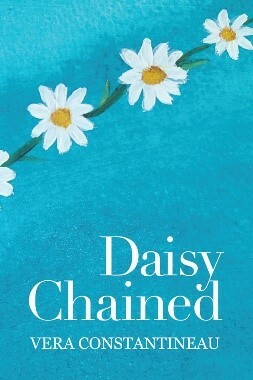 Her latest venture is a collection of short fiction titled, Daisy Chained. Vera earned a Creative Writing Certificate at Loyalist college in Belleville and is a firm believer in workshops, in the past she has upped her writing game by absorbing the knowledge of instructors Nino Ricci, Rosemary Aubert, (the late) Paul Quarrington, Susan McMaster, and Brian Henry. In addition to being a member and past president of the Sudbury Writers’ Guild, Vera is a member of Haiku Canada, WCDR, CAA, and the Manitoulin Writers’ Circle. A sample of Vera’s writing can be read here – Wages of Sin Etc.